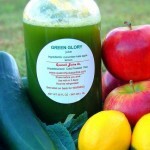 We produce our juices with love, attention, and concern for quality. We also believe that juices have a healthy impact on the body. However, the FDA requires us to have the following statement on each bottle of juice. If you have any questions at all about this, please call or come by so we can explain further. This product has not been pasteurized, therefore, may contain harmful bacteria that can cause serious illness in children, the elderly, and persons with weakened immune systems. 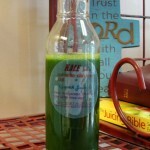 All of our juices are packaged in glass bottles. 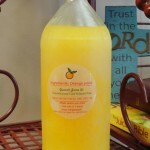 It is very important to keep the juices refrigerated and each juice, once thawed, has to be consumed within 3 days. Our juices are not guaranteed or meant to treat, prevent a proper medical diagnosis, or cure illnesses or disease. We use ceramic crocks to ferment some of our products in a FDA approved facility. This web site was developed by Randy Nicholas, a general web contractor and consultant. Should you have any questions for him about his services, please email him at randy@nicholasgwc.com or visit his site at www.nicholasgwc.com . All logos, graphics, and texts were provided to Randy Nicholas by Quench Juice LLC, its owners, or affiliates… or were created to promote this site and have been approved to be used in this format by Quench Juice LLC. Even though Randy Nicholas believes that Quench Juice LLC conducts its business practices with the utmost integrity, Randy Nicholas shall not be held liable in any way for the claims or business practices of Quench Juice LLC, its owners, or affiliates.